But what will come next? Against a backdrop of constant socio-technological upheaval, how could any kind of authentic change take place? 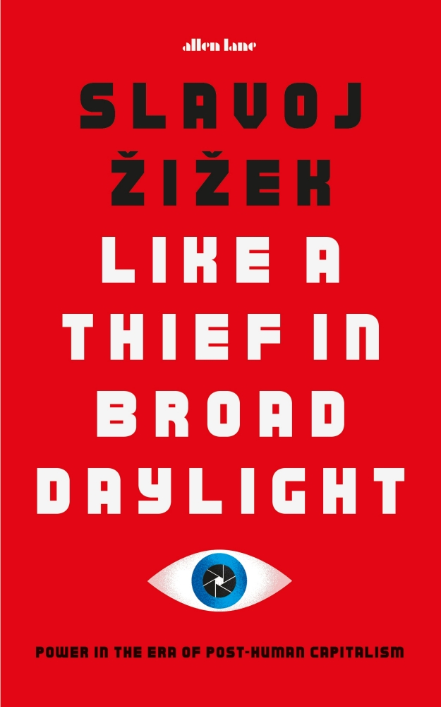 In such a context, Zizek argues, there can be no great social triumph--because lasting revolution has already come into the scene, like a thief in broad daylight, stealing into sight right before our ever eyes. What we must do now is wake up and see it. Urgent as ever, Like a Thief in Broad Daylight illuminates the new dangers as well as the radical possibilities thrown up by today's technological and scientific advances, and their electrifying implications for us all.